I’m not a big football fan, I normally only watch events like the World Cup, still I’d hate to see the beautiful game of Football damaged by the BNP Immigration policy. Unless Football players are “exceptional cases” this means British Football teams will no longer be able to employ foreign football players. We have some really good football players in Britain, but if British football teams are only allowed to employ British born or foreign football players who have settled in Britain (and don’t take the generous repatriation payments to leave) won’t this put them at a distinct disadvantage over foreign football teams who can employ the best football players from around the world? Imagine what Manchester United, Liverpool etc… would play like with only British born football players! 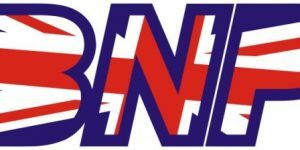 Also the BNP immigration policy would mean we wouldn’t be able to hire foreign born football managers and as has been shown in the recent past there’s some really good foreign managers. For example Fabio Capello (Italian born football manager) current England manager, will he have to give up his current job? 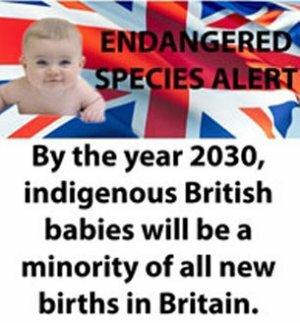 Just goes to show how poorly thought out the BNP Immigration policy is. Some may argue with this, but in the whole scheme of things, damaging British football wouldn’t be the end of the world, but lets expand this to look at the field of science. Again we have some of the best scientists in the world, but there are just as many great scientists born in other countries and it would be a travesty if our Universities and research institutes etc… couldn’t hire a great scientist just because he/she wasn’t born in Britain! UKIP Immigration Policy : Stopping immigration for 5 years except for important workers. Still a bit on the harsh side, but at least it’s a realistic concept. We need skilled workers and at least UKIP understand this. Labour/Conservative/Liberal Democrats Immigration Policy : The BNP supporters are going to like I’m combining them :-) There’s not great deal between them IMO, as public opinion is moving towards stronger controls on immigration the main three parties are adapting their immigration policies (slowly). I still see all three parties immigration policies as on the weak side which is why the British public are not happy and the BNP are benefiting from that unhappiness. Yes, immigration is important, but lets not destroy one of our nations favourite sports that is the beautiful game of football. sepp blatter is trying to put things in place for european teams to feild not more than 3 foreign players,does this make him racist? There are FAR more important issues than football! Footballers are overpaid, contribute NOTHING and very often are uneducated. I am a lover of football and once had the opportunity to be a pro player. We continually are belittled in the world and European cups and is it any wonder? I watch as much foorball as possible on TV but sometimes I am hard pressed to find the English players. It is my considered ipinion that there should be a minimum of 7 English players in and English team. Mr kevin Brennon Local MP backed the wrong horse and mr brennon is a gullible oaf who backed the lier & went against a british citizen. As british citizen can make a mockery of the whelsh mp mr brennon as solid evidence mr anjam alam khan had lied about him self & lied about me (maria davis) evidence is available to who want pleasure in bring justice to this woman .